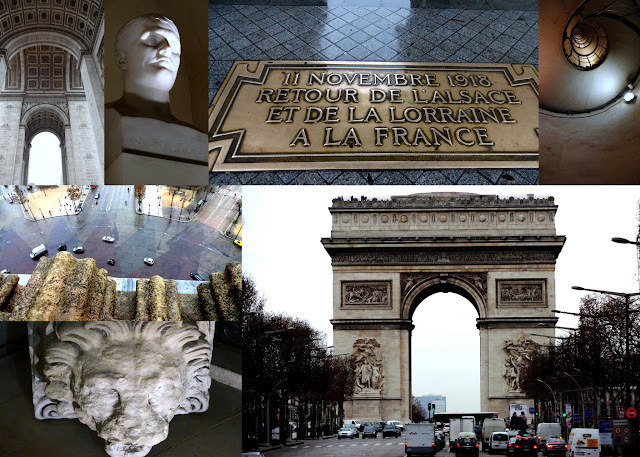 A legacy of Napoleon, the Arc de Triomphe is the memorial for soldiers who died during World War One. Written on the walls are the names of the battles fought by the French Republic and Napoleon as well as the generals who fought in them. The Flame of Remembrance continually burns as another form of respect for those solders. To make it to the top of the Arc, mom and I climbed the never ending 234 steps to get incredible views of La Defense, Champs-Elysees, the Sacre-Coeur, and the busy streets of Paris. As you can see, our day on the top was a bit dreary, but wonderful none the less.